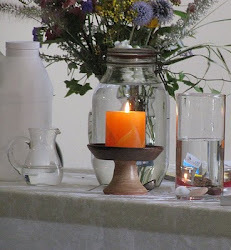 UU A Way Of Life: Morning meditation - What are you learning from the story of your life? 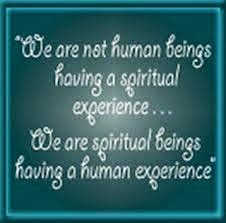 Morning meditation - What are you learning from the story of your life? Rev. Rolenz' comment which begins her essay entitled, "3-D Jesus" made me laugh. Indeed, every person has a story. I don't know if I necessarily would call it theology, but then again, maybe I should. I don't think that most people would think of the story of their life as theology, but then again, I think Rev. Rolenz has a point and it might be a good point. What better statement of a person's theology than the life they are living or have lived. It reminds me of what St. Francis said about preaching when he said something like, "Only use words if you have to." His implication is that our lives should be our sermon and in that sense they are a manifestation of our theology which I think is more often unconscious than conscious. The lives we live are at one time an application of our theology and a manifestation of our theology. We are taught that "actions speak louder than words" and "watch what people do not what they say". Most people's lives are spent in attempts to kill the pain of existential angst. They strive for self gratification and mood altering experiences in the quest for the elusive state of "happiness". Most people's theology is based on a worship of the God called Happiness and the sacraments are usually indulgence at the altar of Mammon. If you ask most people in the United States what would make them happy they will immediately tell you to win millions of dollars in the lottery. If you ask most adolescents what they want out of life they will tell you "to be rich", and if you ask most students what they would like to get out of school, they will tell you "an A." As Mother Teresa said, the United States is a very spiritually poor country. Our values are very shallow and perverted and it leads to greed, drug addiction, violence, and tremendous suffering. To the rest of the world who have admired the materialism of the United States they have been appalled by our war mongering and arrogance and they feel sorry for our lack of social welfare and quality of life especially for our working class and poor. If Rev. Rolenz is right that theology is autobiograhpy the United States and the people in it are in serious trouble. There is great hope that Barack Obama will save us but we are the same people who elected George W. Bush not once but twice. What does Unitarian Universalism have to offer in terms of a theology for application to help us as individuals and a society build more fulfilling lives? The only thing I can see is our seven principles. Outside of that we have a very thin story of our history and traditions. Can it be developed into something that better meets the spiritual needs of people around the world? What is the "good news" of Unitarian Universalism that helps people deal with their existential angst, the pain and sorrows of their everyday lives, helps them celebrate the joys of creating lives of meaning and purpose? Not much that I can see, but then again, I am hopeful because in terms of my own autobiography, I have found meaning, and purpose, and joy in Unitarian Universalism but it needs more meat. Who or what is the God we worship that is bigger than all the Gods of other religions combined? If all theology is autobiography, like Rev. Rolenz says, maybe we could start by reflecting on our own lives and then telling each other what we have learned about ourselves as human beings, about relationships with one another, about this world we are living in, and about this thing we call "life".